Two Irish teenagers are among the winners of awards which celebrate the inspiring achievements and commitment of young people across the Republic of Ireland and the UK. Molly Comish, 18, from Bray in Co Wicklow, and Harry McCann, 18, from Clane in Co Kildare, will receive Rotary Young Citizen Awards at a ceremony in Manchester this weekend. Ms Comish has been creating and distributing dignity packs to homeless people since she was struck by the scale of the homeless crisis in December 2015. The packs contain essential items such as toothbrushes, toilet roll, sanitary towels, deodorant, socks and water. She has shown the packs to Minister for Health Simon Harris and hopes to expand her project nationwide. Mr McCann is an entrepreneur who founded Europe's first Digital Youth Council in 2014. 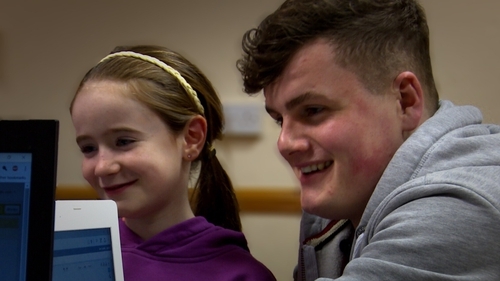 He has introduced over 800 children across Ireland to coding, and has developed courses being used in schools today. This year marks the tenth anniversary of the Rotary Young Citizen Awards.